Garlic bread is a great appetizer. This a very easy and simple way to make your own. Pasta has become a weekly dinner for us. 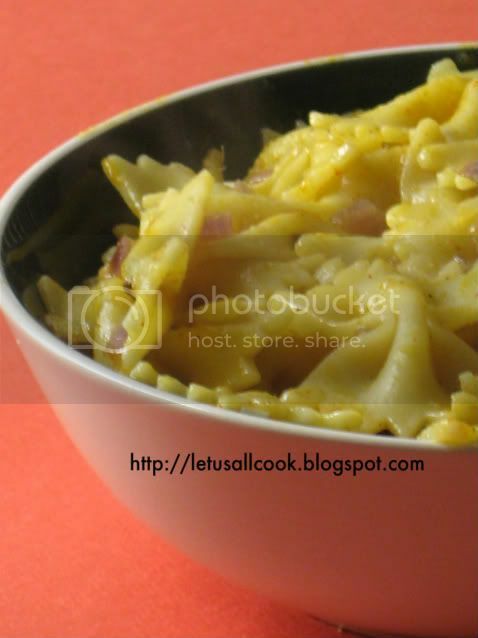 This is yet another very easy and quick to make Pasta recipe. A Yummy delight. 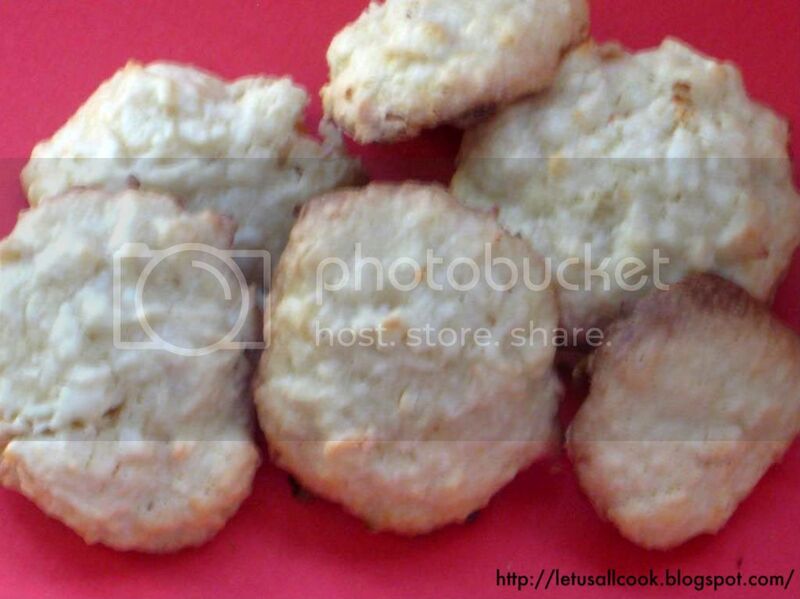 Easy, simple and delicious cookies make at home within minutes. Capsicum Rice - Must try! 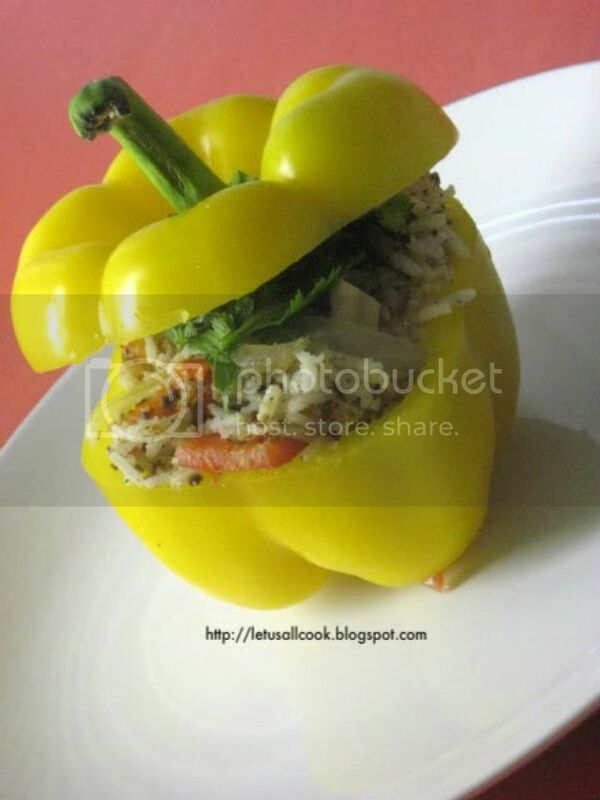 Capsicum + Rice = Delicious! , A must try vegetarian healthy recipe. Easy and healthy snack ,the kids will love. With Thanksgiving around the corner, you would definitely be having a tough time deciding on what to cook and how to entertain your guests. No Thanksgiving is considered complete without turkey and mashed potatoes. If you are a vegetarian or vegaan, you might have a difficult time figuring out the recipe that would replace turkey and still give the feeling of thanksgiving. It is better to have some vegetarian options available since you might never know who will come to your thanksgiving party. There will always be last minute additions. My suggestions for main course would be the Masala capsicum rice. It is a recipe where you stuff something like you do when it comes to turkey and while eating, you run your knife through it just like you cut a turkey. It really is a great substitute for turkey! If kids are at the dining table, you can surprise them with this banana man dessert. I am sure it will be a hit.If you are a pure non vegetarian like one of my friend calls herself, then try this Roast turkey breast for thanksgiving. You won’t be disappointed. After family and food comes shopping. Most of the Thanksgiving shopping is done on Black Friday, the next day. With extra coupons you can score a great deal on various items. If you are a reader from India who is wondering what kind of coupons do I get?, do not worry, there are many online Indiancoupon sites that shares coupons to major shops to make your online shopping easy and beneficial. One of the deals that interested me was this Chocolate deal. Getting the chocolates for 80 percent off made me think why I did not know about these deals during my school days. You do not get deals like this very often. If you are anything like me, you would really be excited about this cookware deal. To know that there are deals in which you could buy cookware at 80-90 percent off makes you realize how much you could save. With Christmas and New Year being just a month away, shop these great deals online without getting out of your house and surprise your loved ones. I wish everyone Happy Thanksgiving! Have a great Holiday weekend. Sometimes we learn about new recipes from television, recipe books or even friends and family. I got an opportunity to learn about a new food, which may not be new to many of you. I am talking about the Florida stone crab claws. My husband loves seafood and he has never tasted crab claws. what next? A delicious crab claw recipe search. I did it and I came across a lot of healthy recipes. Stone crab claws are rich in omega 3 fats that is good for health. 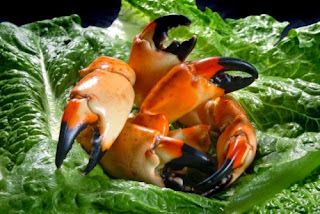 The Florida stone crab, whose scientific name is Menippe mercenaria, is a crab found in the western North Atlantic, from Connecticut to Belize, including Texas, the Gulf of Mexico, Cuba and the Bahamas that is widely caught for food. It’s time to get cracking South Florida as the official start of stone crab season runs from October 15 to May 15. I did a research on crab claws and came to find a lot of interesting facts. When searching for a place to buy stone crab claws I came across the Uberstonecrabs They are distributing premium, fresh Stone Crab Claws from their Florida distribution center. Since there is no middleman costs, they are able to give it for a very nominal price. They deliver throughout US and canada which is a major plus. Yey! we need not live in florida to eat them. Are you new to crab claws like me? here is a step by step tutorial for boiling crab claws. I am planning to try the popular crab claw recipe once I get my stone crab claws! Will let you know how it turned out. It is an amazing feeling when someone you do not know come and praise the food you have prepared. It really makes you float. I was on cloud 9 when the food we prepared for our friend's party was a BIG hit. Sometimes, you do need a push to realize how much you are capable of doing. Me, along with 4 of my friends prepared the food for our friend's Birthday party for 60 guests. Yes! it is a big number for us, or atleast for me. I have never cooked for more that 6 people at a time. Wow! This is a great experience for me and for us. We decided to host the birthday party and we planned the menu a week before. Allocated 2 items to each of us and started to do the prep work. It really helped me realise how it would be in the real kitchen. Chief chef shouting,sweating and the tension that prevails inside the kitchen. We felt and experienced every bit of it. At last, everything vanished just like thin air when people started eating and smiling and enjoying our food. Some of them even took leftovers home. Made us proud. We did everything excepting Ice cream and Tortialls. The decoration was awesome and we tried to buy everything which was on deal so that we could do the party on a budget. Now a days, everything is online. There are many websites that provide deals and coupons for us to use and save money. One such website I find very useful is cuponation. When you are in India, we do not purchase things often online. However, the trend is changing and more people opt for online shopping as it makes life more easier. Even sweet when you are able to save shopping online. I know that I have already shared the recipes for few of the above items. But I still have more to share. Scrumptious food is always welcome by everyone. Have a great 4th of July weekend. Let me know if you have ever experienced eating food that you can never forget.YUM! When you think of England’s national dish you may imagine a cultural staple in its culinary history such as Yorkshire pudding or blood sausage. Guess again; chicken tikka masala claims this prize. It is the most ordered menu item in the UK, and is a global favorite for its rich flavor. Indian food can be found at almost every farmer’s market in America, and in every major city in the world. Its healthy oils and spices give it a unique taste that can’t be mimicked anywhere else. As India has 28 states with more than 50 languages being spoken by hundreds of ethnic groups, each region and state boasts its culinary specialty. Spices are a vital accouterments to enhancing the foods flavor, and food preparation and spice blending are crucial to bringing these complex dishes together. Oil is another main component that is a staple of this cuisine. Whether it is coconut oil used in the south, mustard oil used in the north, or olive oil, proper storage plays a vital role in maintaining the oil’s integrity. If your kitchen sees a lot of action from India, you will want to visit ebottles.com and stock up on glass bottles to store your oil, and other containers to keep your spices sealed for freshness. 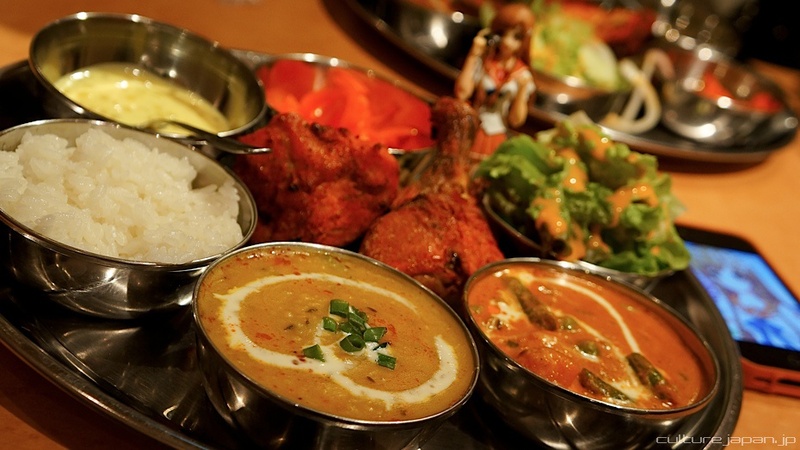 There are many reasons why Indian food is so popular around the world. One reason is that it offers many options to vegetarian people. As Indians don’t eat beef for religious and spiritual reasons, and there are a large number of Muslims in India who don’t eat pork, lamb, chicken and fish are the only meats you will find. Since two major meats are missing from the kettle, it makes sense to amp up the vegetarian platter. Vegetarian dishes are based heavily on lentils, dried beans, legumes, and chickpeas. Vegetables, primarily potatoes and spinach, are also heavily used. You can find a variety of Indian rice recipes which uses the above ingredients. Also, a type of cheese called paneer is very common and loved by vegetarians and meat eaters alike. Paneer is the only cheese variety that doesn't melt when cooked. How awesome is that? It is very easy to make Paneer at home and Paneer Tikka masala and Matar Paneer are couple of very famous Paneer recipes. Whereas some cuisines offer a few vegetarian items on their menus, venture into any Indian restaurant and you will see that they have about as many vegetarian dishes as they do meat-based ones. Another reason why Indian food is loved around the world is that it satisfies the taste of those who love something mild and flavorful, or scorching hot and teeming with taste. South Indian cuisine tends to be spicier, while north Indian food tends to resemble more as to what people can get in America—milder curries with naan bread. Indian food is loved universally for its medicinal elements. In an article published by Health.com the author point to certain Indian spices that have health benefits. For example, it states that cumin aids in digestion and turmeric slows down the symptoms of Alzheimer’s disease. Once you explore the healthy properties in this cuisine’s numerous curries, you will understand why it is one of the most loved in the world. Even after so many years of blogging, my blog still lacks good quality pictures and I know that. It is not very hard to take a good picture. But, making it great requires some techniques. Below are some simple yet effective photography techniques discussed by Biswashree Dey from ITasveer. Nowadays, it’s becoming increasingly popular for chefs and recipe bloggers to take mouth-watering clicks of their creations. So what does a newbie do to get started? So here is a simple guide to help you kick start your journey. What do you do when you come across a culinary masterpiece and have no camera at hand? Well now with IPhones and Apps, you need not worry. Here are some apps that help you transform your mediocre photos. Color Effects : This app enables you to first turn your entire photo to black and white and then use your fingers to return color only to a portion of your photo or change it completely. Next let’s look at some basic tips to keep in mind when taking a photo. It is very important that the lighting is right. The best place to photograph is near a window with lots of natural light diffused with a white curtain. Direct light can be harsh. Best position for light source should be from over your shoulder. Don’t ever use the camera’s in-built flash. It makes the photo look harsh and creates shiny spots. You may use a reflector to bounce off light to cut out shadows and make the lighting better balanced. When adequate natural light is unavailable, photos can come out with a yellow or blue glow which makes the food look unappetizing. You can correct this, by correcting the white balance of your camera. Food looks best in a slightly orange glow. Check your manual on how to fix the color balance of your camera. Use the macro setting of your camera, so that you can get closer to your subject and create a shallow depth, which allows you to blur the background and focus on the main dish. Experiment with the angle from which you shoot the food. You don’t need to always shoot from above or at eye-level. Try to move closer and farther away from the food. 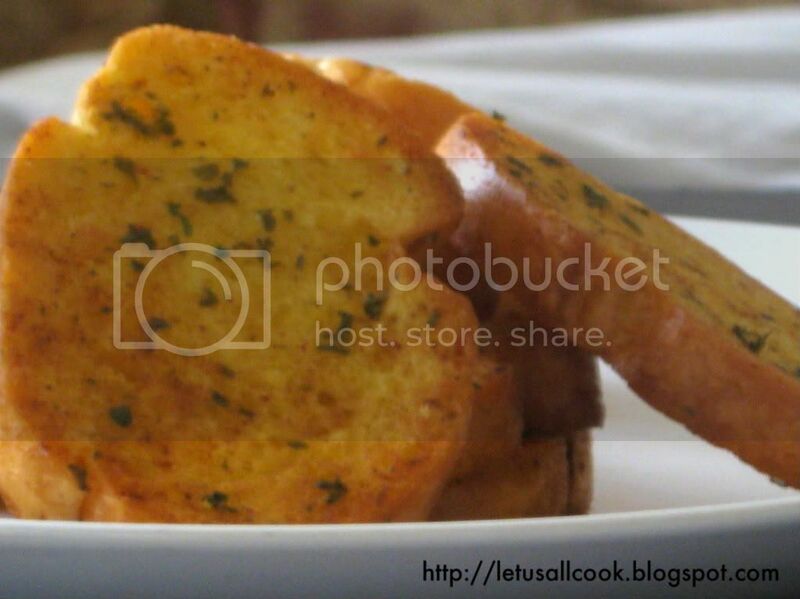 You can print out all your food photos and recipes on ITasveer photobooks and turn it into a treasured recipe book. I love vadai and hate vazhaipoo. So, the right thing to do is to make vazhaipoo vadai. And if it is healthy, what else you need from a snack? Ta da! Here is a recipe for Baked Vazhaipoo vadai. A simple and easy recipe which is healthy and at the same time doesn't compromise on the taste. Most of the time, if you say that a dish is healthy, you would surely have to compromise on taste. But, this is different. You have taste and you can take care of your health. Here comes the recipe for Baked Vazhaipoo Vadai (Banana Blossom), a healthy twist on the traditional deep fried version. Preheat the oven to 400 F/200 C.
Line a baking sheet with aluminium foil and spray with oil. Either steam the cleaned banana blossom until soft or you can cook them in boiling water for 2 to 3 min. Grind the soaked channa dhal in a blender with red chilies, fennel seeds,cumin and coriander powder, turmeric powder and salt. Do not add water and grind it to a coarse mixture. Add the cooled banana blossom to the blender and pulse until everything is combined. Transfer the mixture to a big mixing bowl and add the onion, green chilli, garlic, chopped cilantro and oil. Mix well. Take a tablespoon or two size mixture and make balls. Place over the foil and flatten it. Place all the balls with 1 inch gap between them. Bake in oven for 30 to 40 mins, flipping once in between. Restaurantware - Worth a visit. One of my friends once said that she watches food network channel just to look at the variety and amazing cookware they use. It amazes me that there are people who give more importance to the cookware and tableware rather than the quality of food. However, she does make a point. An excellent food served in an ordinary looking tableware does loose its overall points. I realized this when I went to a potluck party. 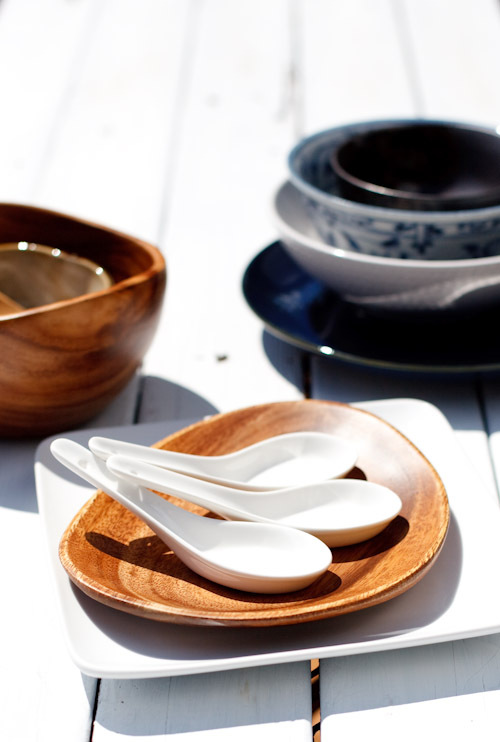 People talked more about the tableware than the food which was served, which was amazing by the way. 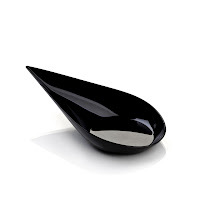 The first thing that caught my eye was their black tableware especially their Stiletto Appetizer Spoon and Tear Drop Appetizer Spoon . The look was very appealing. Then I thought, hey! I have seen something like that on most of the cooking shows. I could own them and use it to serve my guests. The very thought made me feel proud and happy. Not only that, they also have Disposable Plates which I think can be used more than once if washed by hand. If that is possible, then it is a great deal for the price. They are also Catering Food Products to help us ease our cooking. Their appetizing jellies, spreads, Pidy tart shells and cones help us create different variety of recipes with less preparation time without compromising on the quality. The good thing is they accept Paypal and it is eco-friendly, high-end, and affordable. Also, they do both US and international shipping. They are offering upto 67% savings on certain products. Use this link to go their discount page- restaurantware. This could make a great deal if you are planning to buy them in bulk and use it for the future. They are doing a free shipping on all orders if you buy more than $500, which I think would add up to very easily especially if you look at their Fall/Winter catalog (Top Right corner). 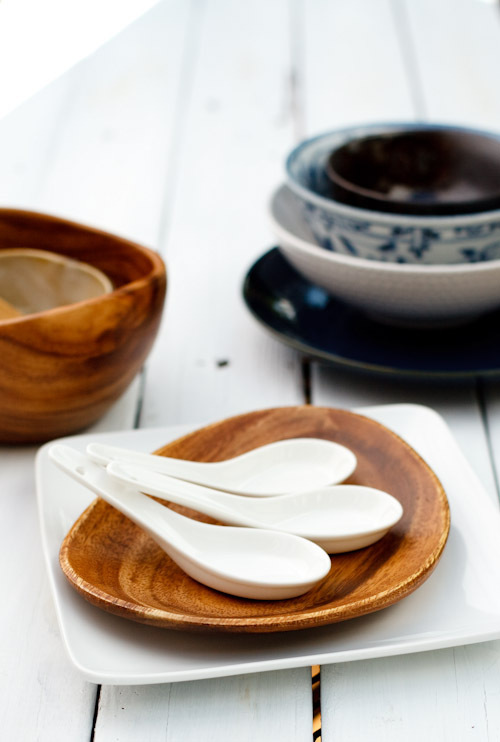 It is very hard to say no to these products if you are a passionate cook. Personally, I recommend you to go through their entire website when you are free and get some great deals on products you love by buying them in bulk and using them in the future. Do let me know what you think about their products in the comments below. It will surely help people make a decision. 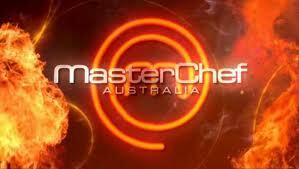 Master Chef Australia - Can't wait for the new season! There are days when I have felt too lazy and uninspired to be even standing in the kitchen, leave alone cooking something. Those days, I think how my mother and grandma cooked all meals, 365 days, at home. Must be very boring. But, to be honest, I strongly believe that they are more creative than I am. They are able to make different dishes with the same ingredients and using different techniques.Wow! must be an art. Now a days, people want to know to cook different dishes at home. Try new stuff to either impress their family or for self satisfaction. Whatever may be the reason, there are a lot of help out there. You can learn a lot about restaurant type cooking, at home, free of cost. Yes, I am talking about the growing cookery shows and competitions that are aired on different channels. There are a couple, that caught my attention. Master chef Australia is one among them. I love the Indian series too. Season 3 of master chef AU was the first cookery competition that I followed through out the end. An inspiring series, which allowed me to learn a lot about cooking and especially plating. I never ever thought platting a dish was as important as the taste of the dish. Amateur! 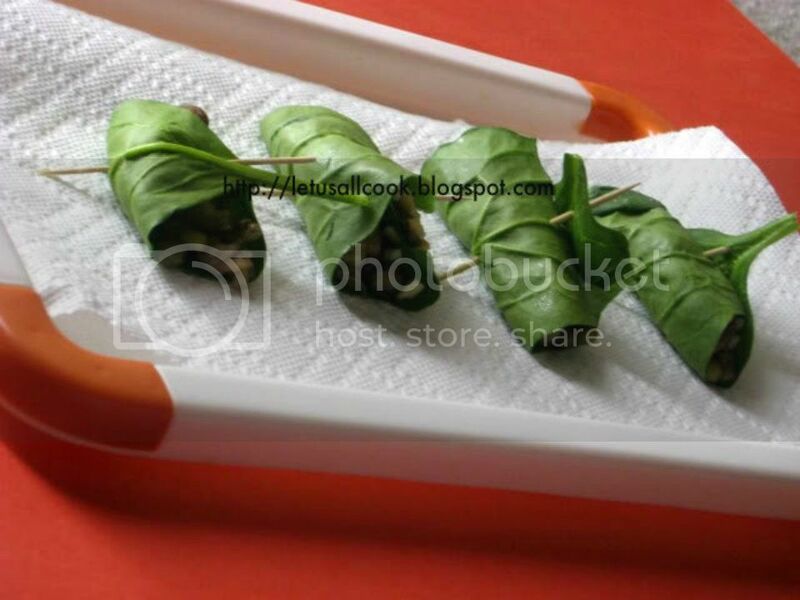 It has inspired me to plate my simple dishes and present it to my family with pride. Though, I was not aware of this cookery competition before, I was able to watch the reruns here from India. I watched the rerun of season 3 since STAR WORLD did not air it live back then. But now, for all the foodie lovers, there is a greatest treat you could ever ask for from a television channel - THE SEASON 4 airs LIVE! Starts JUN 14,2012. Yummy! Since Season 3 was a rerun, I had the opportunity to know what is going to happen before hand from the internet. It was a different experience to watch a show knowing who would be eliminated that day. Its kind of cheating- I loved it. Still made me cry when Kate was announced the winner of season 3. That is the power of the show. This time its going to be even more interesting as its aired live. My husband and I are very eagerly looking forward to this. He has tried a couple of the this shows recipes and have impressed me. You can find the recipes and the details of the participants and anything and everything you want to know about the show on their website- Master Chef Australia. The judges are very friendly and never discourages at any point of the competition. Even if the food turns out to be a disaster, they have a very gentle way of telling you. The exposure that the participants get here is tremendous. They get to work with major chefs in the world, lot of cook offs that brings out your talent under heavy pressure and most of all they let you cook for a party/canteen etc where you'll gain the experience to cook for more people under given time. This brings out the best in you. Currently, we are watching the rerun of Junior Master chef AU season 1 and I am loving it. The kids are very talented and it is a treat to watch them cook. The best thing about the Master Chef competition is that, the participants are normal people. By that I mean, they are not professional chefs. Even you and me can participate. But since it is conducted in Australia, we just have the privilege to watch it from our very living rooms and be excited for them. So, if you live in India and you have a cable connection, DO NOT forget to tune in to STAR WORLD this Jun 14th, 9.00 PM. There is awesomeness waiting for you to be experienced.